WOW! What a treat and thanks for sharing. These appear to be very smooth runners. Is it possible to direction lock the reverse units? Does it have a Chugger? I hear some sounds, or is that just the sound it makes? Also, it looks like you are low on smoke fluid. Boucher E unit does not have a locked position ... .. The engines are beautiful, but running on that plywood that is flexing with every pass makes me nervous! It's just the unsecured track going up and down - not the plywood. 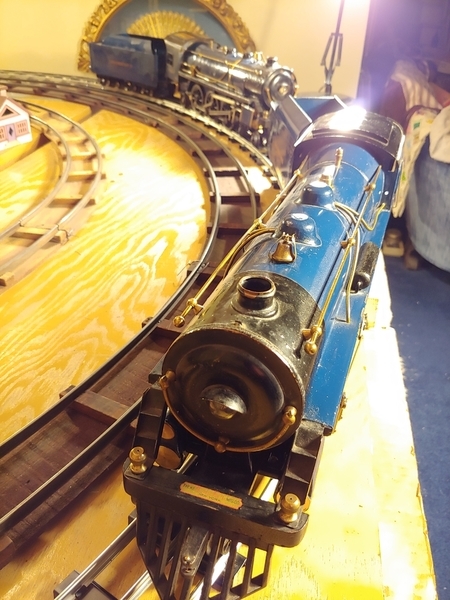 This is one of many Voltamp / Boucher trains that I wish MTH would have made. It's detail definitely puts the 400E and 400 series cars to shame. 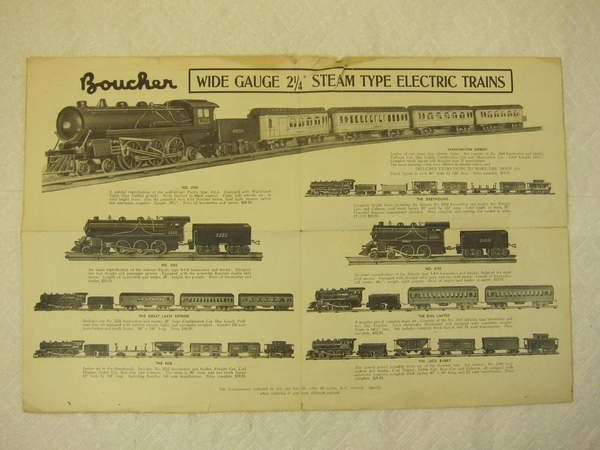 Smooth runners - Boucher apparently had an impressive mechanical design, likely superior to Lionel, Flyer or even Ives. Voltamp / Boucher never had distribution anything like the big boys ..so much smaller production to a niche market. ...In the 20's folks would buy the Boucher engines to pull the other boys cars ... if you wanted a 6 wheel drive standard gauge engine Boucher was your only choice ... most the world was unaware of Boucher and Voltamp ... here is a link to see the double motor 2500 with standard late 2500 low cab body from at least 1922 ..most likely before ...but no proof yet .... still being sold with the old Voltamp style passenger cars in 1929 ..this was the premier Boucher set the Washington Express ... next year the Blue Comet made it's debut ... but standard gauge was about to fall from fashion ... by 1933 market had shifted to O gauge with more interest in realistic looking trains ...the scale world was posed to take over . 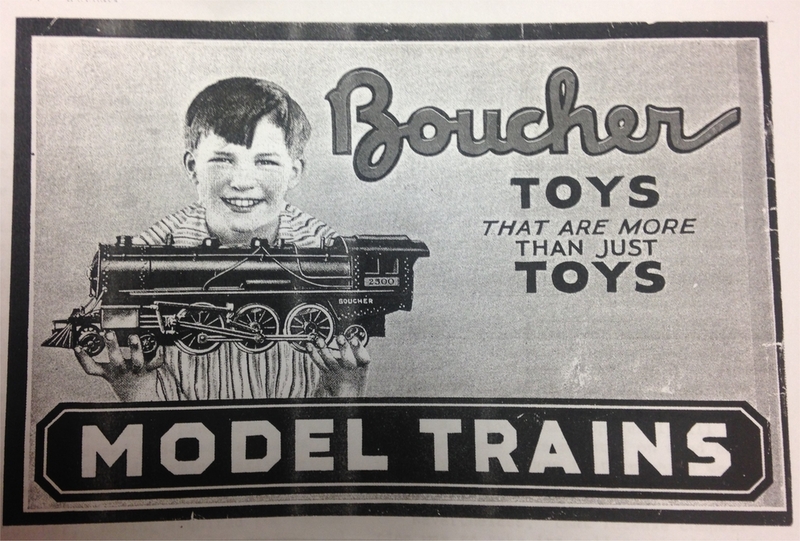 Great information on Boucher, thanks for posting. 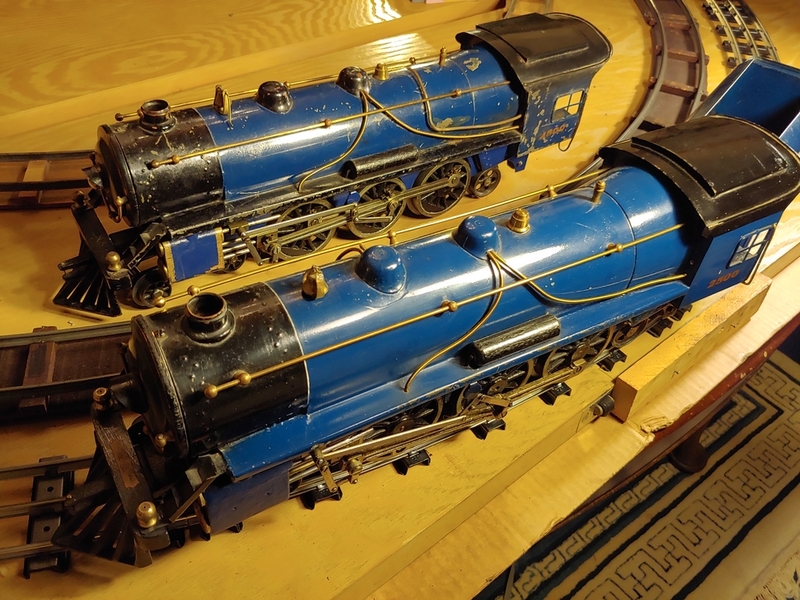 Anyone looking for detailed info and great photos on Boucher (and Voltamp) trains should consult the relatively new book by Jim Kelly-Evans, TCA 99-49842, entitled: Voltamp and Boucher. Jim is a regular contributor to this forum and he may still have some signed copies available for purchase. I just checked Amazon and they have just 6 copies left for sale. Bought mine when they were first released. I'll probably never own any, but you never know. Great read. You had your chance last Fall in the Stout Stanley Merritt auction. His Boucher Blue Comet sold for a mere $11,000. 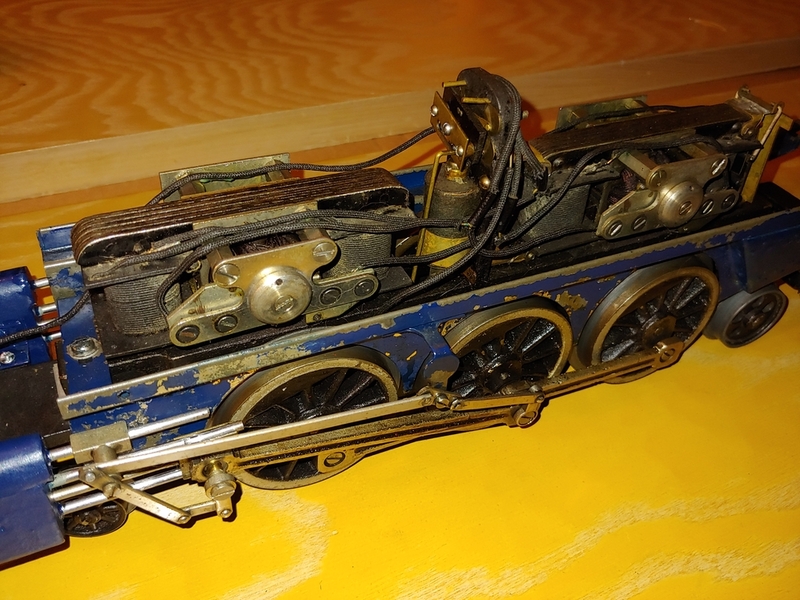 Hello all ...Boucher is out there ...currently on ebay a 2100 is listed ... seek and you shall find ... there are a number of articles about Boucher that can be found in the TCA quarterlies over the years. 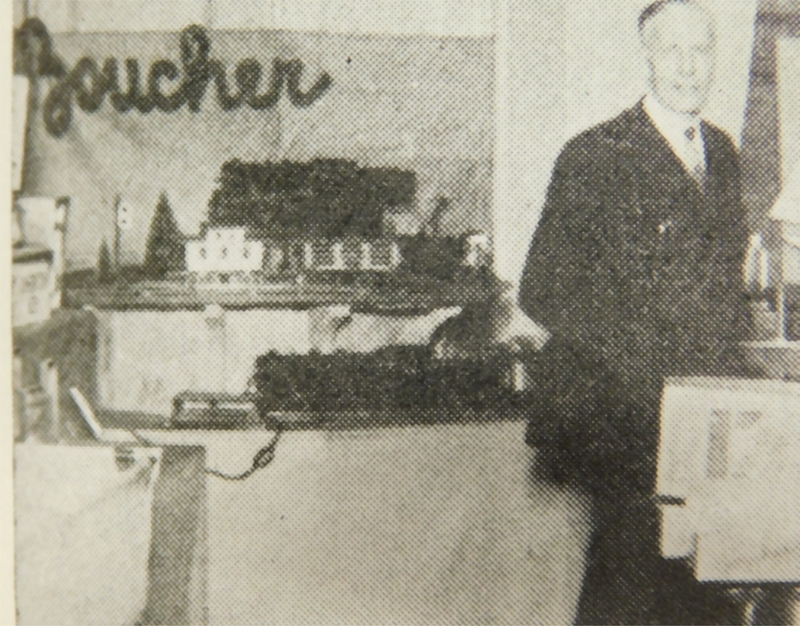 Here is Horace Boucher in his booth at the NYC Toy Show February 1929, as found in Playthings magazine . Display two loops of track ..2500 lower loop freights on upper ...and perhaps the 2222 on the top shelf . Caboose and stock car as shown on display had changed very little since their introduction by Voltamp 20 years earlier . I've been watching the one on eBay, unfortunately it's missing the tender. If it wasn't, I'd probably hop on it. Now that's pretty! 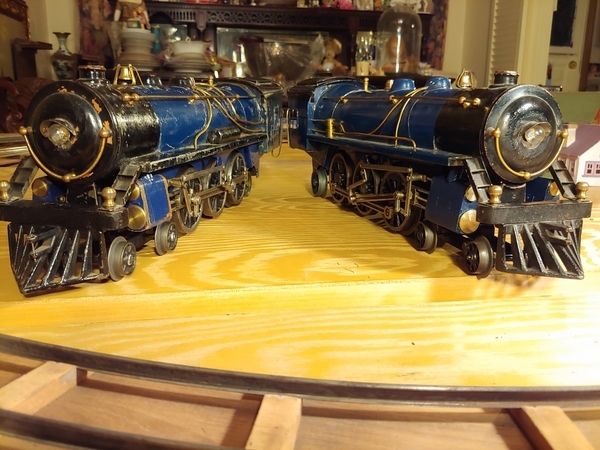 A beautiful pair of locomotives - thanks for the links and that interesting look inside.